Dave Stutsman remembers his middle son, Shay, regularly napping in the back of a Cat® dozer while Dave was working a jobsite in the Western Slope of Colorado. At that time Shay was just a toddler, but it was obvious then that the family business was his destiny. And now roughly thirty years later, Shay is poised to take the helm of the company. 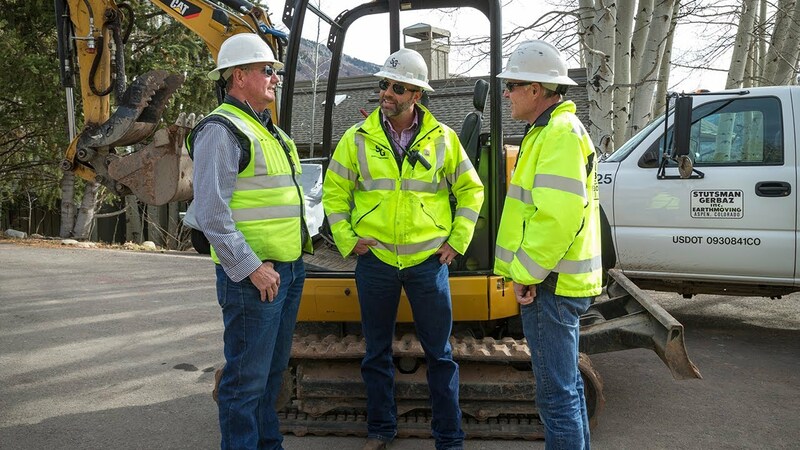 Founded in 1960 by his grandfather and great uncle, Stutsman-Gerbaz has become Aspen, Colorado’s largest excavation business. The business includes grandparents, aunts, uncles, cousins and countless loyal employees over the years. So it’s no surprise that there is a great deal of pride and excitement surrounding the family history. Shay feels it too, but admits it can be at times intimidating and nerve wracking. As the transition begins, his focus is on maintaining the integrity of the Stutsman-Gerbaz’ brand while attracting the next generation of earthmovers and adapting the technologies that are available in today’s construction industry. Watch how the Stutsman-Gerbaz family is preparing for the future as they turn the page and begin the next chapter. Every business is a direct reflection of the people who run it. Every machine, attachment and relationship is vital to your success. That’s why customers look to their local Cat® dealer to deliver the support they need, right when they need it.